Health & Medical Insurance in Spain - Insurance in Spain | Jennifer Cunningham Insurances S.L. 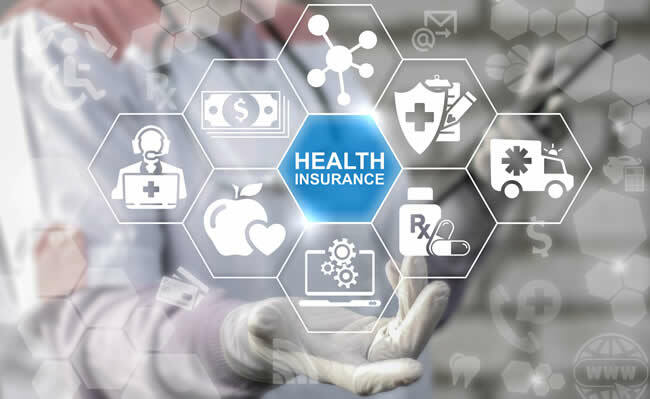 Why private health insurance in Spain? Overall, the Spanish National Health Service is probably better than that available in the U.K, but has certainly come under mounting pressure in recent years due to the high level of immigration coupled with the volatile uncertainty after Brexit. Unlike the UK Spain embraces and encourages private health insurance which is supported by many hospitals, doctors and consultants. At a time when speed of diagnosis and treatment is so vital, Private Health care enables clients to access procedures instantly. This speed is often no longer available on the state system due to increasing financial pressures being placed on health authorities by Central government. The language barrier is a problem for many patients, and considerations such as privacy can be an added burden in an already stressful situation. Jennifer Cunningham Insurances has a full-time bilingual administrator based in our Head Office who works solely for the benefit of all of our ASSSA clients. Rachel is supported by Anita our full time ASSSA sales consultant who works very closely with the other team of consultants based in our offices along the coast. We dedicate ourselves to a complete after sales service with continuing customer support: our relationship with our clients does not end with the setting up of the healthcare plan, it begins! Cover from day one, except those services subject to qualifying periods. Preventive medicine, annual well woman/well man check ups. Emergency national and international travel cover. Up to 12000 Euros per condition with repatriation to Spain included. Only one year indisputability period (this clause is standard in Spain all with varying lengths of times and conditions). Immediate access to GP and Emergency treatment from day one. Special payment terms and life time discounts available. 50% reduction on premiums for children when both parents join ASSSA. That you pay into the Spanish Health System via a contract or are self employed. That you can prove that you have Private Health Care, and a certificate of income. Call Our Team Of Experts Now! Why choose ASSSA for your private medical & healthcare in Spain? It is a sad fact but some salespeople claim their schemes include all kinds of benefits when this is not the case, so do understand that verbal assurances have no meaning unless confirmed in writing by the provider company: it is therefore critically important to check very carefully that the cover you think you have is fully-described and set out within the Policy Document, and in your own language. This means that from the day you join ASSSA, you are guaranteed that the policy will never be cancelled due to critical illness, chronic conditions or age. This is a unique benefit and is written into the policy document, thus taking precedence in Spanish law over any verbal assurance that might be given by another company’s representative. 2. The age you join is the age you stay. Most health companies increase premiums as you become older. Asssa guarantee there will be no age related increases for the life time of your policy. Asssa have the most comprehensive list of medical professionals. Many of whom are bilingual. ASSSA’s cover of the costs of G.P’s, consultants, diagnostics, scans etc is very generous compared with other companies, and remember there is no question of having to pay yourself and reclaim later. Their aim, and indeed ours, is to find you the medical care you need, when you need it, where possible in your own language and promptly. Are you confused about the changeover of your private health insurance to another provider? We can help by offering extra special conditions for an easy transfer, similar terms and conditions and a more comprehensive medical directory of English speaking doctors. We are much more than just a voice on the phone, we are 25 years established here in Spain.